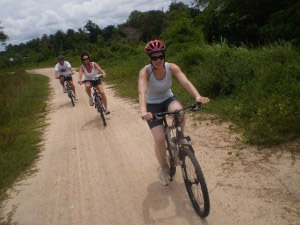 Cycling is the favorite activities of the bicycle lovers that we know. But cycling your bicycle on the unseen local road in the difference country is much better. Moreover, you can study the difference traditional of the difference area local people. 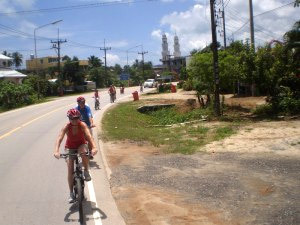 Jc.Tour Phuket is very proud to offer the Bicycling Tour Trip to make the holiday of "Bicycle lovers get more value. 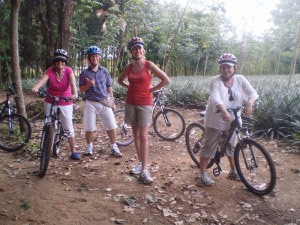 The popular half day Biking tour in Phuket Island will take our guests riding in the north east of Phuket Island, there is an area known for its small traditional Thai villages. To join this trip with Jc Tour will also have the opportunity to visit Phuket's Gibbon Rehabilitation Center; see how gibbons can be cared for before being released back in to the forest. 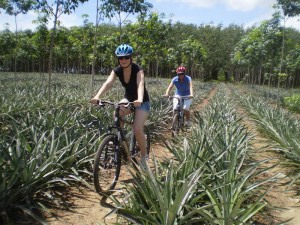 Moreover, this half day trip we lead our guests cycling on small country roads, biking off road through palm and rubber tree plantations along the route. The route does also include a few hills. 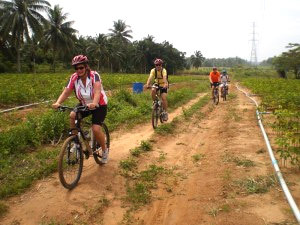 This bike tour is followed by our support vehicle, apart from the off road sections when the mini bus is never too far away. 07:30 - 08:40 AM Pick Up from Every hotel to the start point. Air conditioned Support Vehicle designed to carry. Drinking water, snacks and fruit. Sport shoes suitable for cycling. Raincoat depending on weather/time of year. Remark: Please pack light, only bring what you need for the trip, leave unneeded luggage in your hotel.